IDM's Box Opening Pressure Tester has been designed to measure the opening force of flat stacked carton boxes. 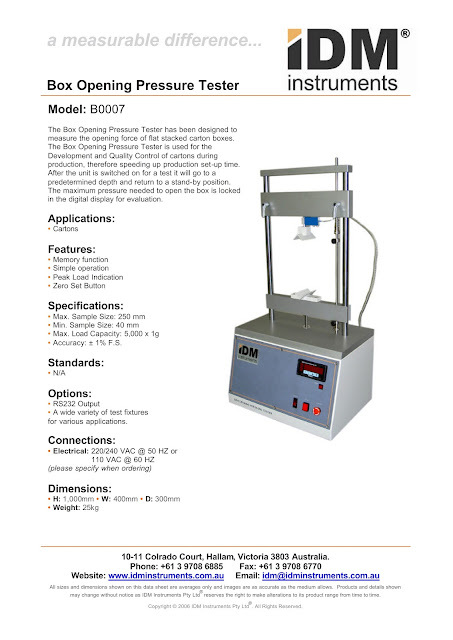 The equipment is used for the development and quality control of cartons during production, there for speeding up production set-up time. We have 2 x legacy models being offered to our packaging customers at a discounted price. 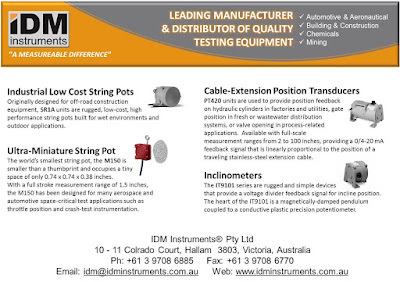 Please contact IDM for details: sales@idminstruments.com.au.